"In the beginning the universe was created. This has made a lot of people very angry and been widely regarded as a bad move" - Douglas Adams. 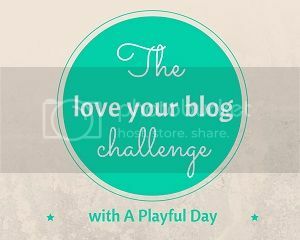 I have to admit, this week's LoveYourBlog prompt was not one that immediately inspired me to write a post. The obvious beginnings for knitting are either "how I learned to knit" or "how I got into designing". As I mentioned in my last LoveYourBlog post, I don't remember learning to knit, and I've talked about how I first started designing before and it's not all that interesting a story anyway.Another beginnings option might be a tutorial for how to cast on. Hmm, relevant yes but not really what I have my blog for. But that last idea led me to what I'm going to talk about here, which is the beginnings of projects. I have a confession to make (and I probably ought to stand up for this. I'll have to let you imagine that bit but just take it that I'm standing while I type this next bit): My name is Kirsten and I suffer from Startitis! That confession is something that would likely surprise anyone who knows me in person because I'm a pretty monogamous knitter. I usually have only one or two projects on the go at a time, depending on their size (and therefore portability). If I'm knitting socks, it's likely that's all I'm knitting until the pair is finished. If I'm knitting a sweater or a large shawl, I may have one more smaller project on the needles as well, to work on during my lunch break at work or at the school gates while I wait for my son, but that's it. I've always marvelled at people who need to participate in online challenges to reduce their number of WIPs (works-in-progress), because for me the only thing I need to do to reduce my WIP count is to finish what I'm making, and then my count is zero. There is a very good reason for this strict control on the number of projects I have on the go at a time. I'm a product knitter with terrible startitis! I knit because I enjoy knitting, but my primary goal is the end product. I want to enjoy making what I'm making but more than that, I want to have that beautiful shawl, those pretty socks, that cosy sweater. Even small things - I want to have enough charity squares to make up a parcel to mail, or a new cloth for the kitchen. It bothers me if I have too many WIPs because I can't see the end of any of them and I need to see visible progress, and luckily it bothers me just enough to keep the urge to start something new under control. It's the same with my designing. Once I've sketched out a lace chart or written out a table of numbers, I have to force myself to keep going after I've knitted up the sample to carry on and type out the proper version of the pattern, with the list of abbreviations and the materials needed and all the rest of it before I move on to the next one. If I didn't, I'd have a lovely collection of finished sample objects and scrappy bits of graph paper but no actual patterns! Let me "illustrate with examples" as the exam questions always used to say. This small part of my stash may look like one ball, one cone and three partial skeins of yarn. However, to my eyes it's a lace shawl, a cowl and the start of a sweater. They're all in my head. The sweater is also a collection of numbers and schematics and a few rows of ribbing. So far the shawl and the cowl are just notes but I know what they're going to be. But I must be strict with myself. I have another shawl which is currently pinned to the floor in the spare room (it's blocking, it hasn't misbehaved nor is it trapped under a large piece of furniture) that must become a typed-out pattern before I go any further with any of these three projects. Fight the startitis! It's largely a hopeless cause but at least I try and I do get stuff done! I never really thought about the correlation between being a product knitter and suffering from startitis. I hover between process knitter and product knitter and I think during the times I've suffered from castonitis, it was because there was a bandwagon project out there, or maybe a new yarn that had come into the shop that I had to try. Now, I have multiple projects, but they're different mediums - one knit, one crochet, a few sewing. Not enough time in the day in any event. From speaking to friends it seems to be the difference is that a process knitter with startitis doesn't mind it, because they just want to knit, they don't mind if they don't finish what they've started and if it does get finished it's a bonus. My problem is that I want to cast on ALL THE THINGS but then I get antsy if I'm not finishing any of them!! It sounds as though you're actually very disciplined! I always have far more things I want to knit than I could manage bug take a similar approach of sticking to a small number of WIPs so I can make progress on what I'm working on. if only there was more knitting time! If only indeed! So many stitches, so little time!